It’s clear that “Say on Pay” is not going away. For companies whose shareholders rejected or expressed concern about the executive compensation programs with large numbers of negative votes, now is the time for boards to create a strategy to engage with shareholders to better understand their concerns. Boards have been reluctant to engage with shareholders because they often don’t have a picture of what a board engaging with shareholders might look like. Often, they believe it is the job of the investor relations department. 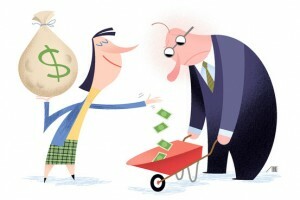 But “say on pay” focuses on the board’s role in approving compensation programs for the named officers for the company. And shareholders expect the board to be responsive. “Good engagement takes different forms, but it’s critical to get an early start,” says Patrick McGurn of ISS, also interviewed in the Corporate Secretary article. The Dodd-Frank requirement for Say on Pay voting was designed to encourage dialogue between the board and shareholders. Some boards, like Prudential, established a dedicated compensation committee email address and actively seeks electronic queries on pay matters and anything else related to board work. Prudential regularly sends board members and representatives on engagement exercises with investors.